Brand New Thunder Bay Hampton Inn Property Doing Well! The Arthur Street area near the airport has a new look with the addition of a state of the art Hampton Inn & Suites now open! After their official opening date of September 27th, 2016, the beautiful most current design of the 2500 unit Hampton Inn chain, has done well. It includes 104 rooms with 28 ofthose that are suites. 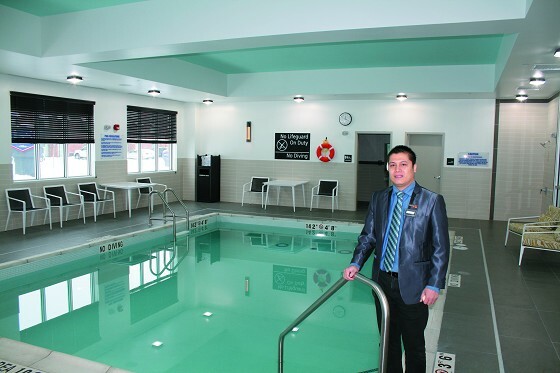 Jeffrey Dizon, General Manager Hampton Inn & Suites and has previously worked in Lloydminister with Hampton Inn. 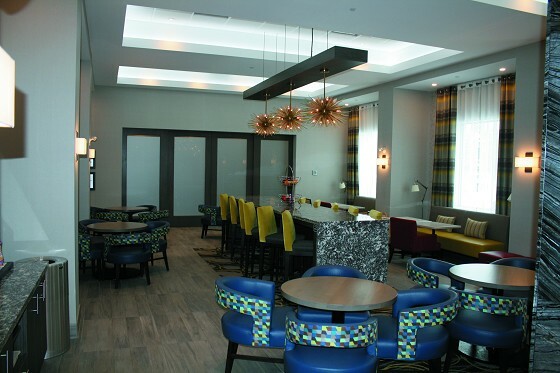 When you walk into the Hampton Inn & Suites property you will be impressed with it’s very eye pleasing lobby especially for a northern climate like here in Thunder Bay. The breakfast area is adjacent and serves hot and cold food as well as fruit and is open from 6am to 10 am every morning. It is complimentary and part of your room package. They even have complimentary cookies and water for their check in guests. There is a pool and gym that is amazing. Also the Hampton Inn & Suites has two meeting rooms, one that can accommodate 15 people and the other 12 people. To date the Hampton Inn & Suites have 24 staff including the manager. Only 2 are part time, the rest full time. The room cost during winter time is $139 but government and seniors rates are lower with the senior at $125. Jeffrey Dizon loves Thunder Bay and is planning to buy a house here and stay long term. He has two children aged 3 and 9 years old.